Expert in manufacturing of Vanity top, Countertops, tub surround with 20 years experiences in markets of USA, Candada. Since USA economic crisis, maybe you are no more confidence to start /open/continue the countertops market , or stop your plan of building/remodeling , or slow to sell your countertops. Now it is times to change, now economic situation would be turned betters. Now the Quantity of our countertops to USA are become more and more. Newstar stone like to offer you a good chance, and help you rebuild confidence ,offering best competitive price. Why no finding Newstar stone? To approach Newstar, select best! The granite is sorted for color at the quarry before it is moved to a processing plant. If any rock has large cracks or impurities, such as a large chuck of a different kind of rock, then they are set aside and not used. Granite is transported to the processing site by truck. Some quarries are placed near the processing plants but not all are. Since granite is one of the hardest rocks, the only thing that can cut granite is either a diamond-edged cutter or a saw made of granite itself. This makes it extremely difficult to form and shape. This is one of the factors that makes granite counters so expensive. The granite is cut into slabs, usually somewhere around 54 feet square and about 2 to 3 inches thick. Granite slabs are prone to breaking at this point, so extra care has to be taken. When someone wants to put granite countertops in their home, they need to measure how many feet of granite they will need. Then the company installing the countertops will give them a list of colors that they have in that size. The customer picks the color, and then the company installs it. A sealant is applied to the top of the counters so that the rock is no longer porous and reflects light with a high-gloss shine. The counters are cut to fit the specification of the customer and installed. Click on the picture below to see the big picture. These are the most popular edges for bathroom Vanity tops, kitchen Countertops,and hotel Bar top,Table tops,Registration Desk. 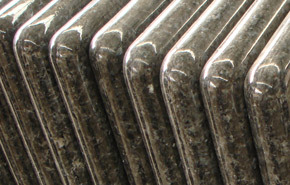 The profiles shown here are on ¾" (2cm ) and 1¼" (3cm) stone. We offer you exact and top quality products made by our factory, but first we need choose good material first. These made by our factory or our cooperated factory. We have Strictly QC System, you don't worry if you order from us! We would offer you good products! Seaworthy wooden Crates and Carefully Loading and unloading are for our products.